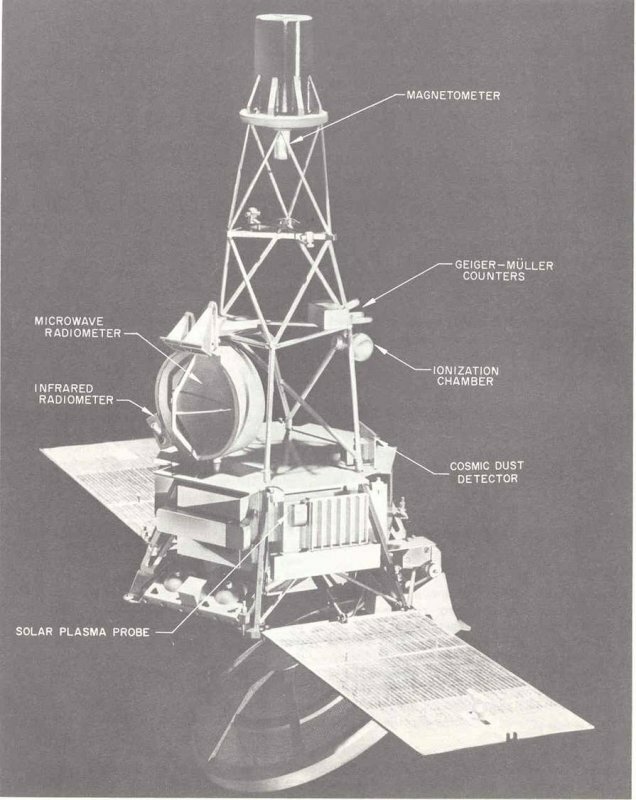 Mariner R Venus Probe - space vehicle configuration. Mariner R, with only two radiometer channels, was launched in August 1962. (Mariner A was a 4-channel system to be launched by a Centaur rocket. The Centaur was not available, and the payload was reduced to allow launch with an Atlas-Agena. Two channels were removed, and the sensor was renamed Mariner R.) Credit: Photo courtesy of Doc Ewen.